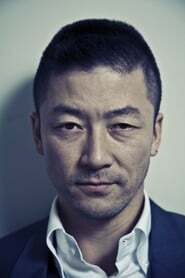 Tadanobu Asano, born Tadanobu Sato (born November 27, 1973) is a Japanese actor. He is known for his roles as Dragon Eye Morrison in Electric Dragon 80.000 V, Kakihara in Ichi the Killer, Mamoru Arita in Bright Future, Hattori Genosuke in Zatoichi, Kenji in Last Life in the Universe, Aman in Survive Style 5+, Ayano in The Taste of Tea, and Temudjin in Mongol. Most recently, Asano appeared as Hogun in the film Thor, based on the Marvel Comics character. as "(segment "For my Dear Dead Dog")"
as "Private detective Kogorô Akechi (2x); A man; Masaki (story "Imomushi", "Kagami jigoku", "Kasei no unga", and "Mushi")"
as "Ayano Haruno - uncle"
as "Hattori, le garde du corps"